With all the focus on good bartender practices and internal controls, what about those “other” employees? 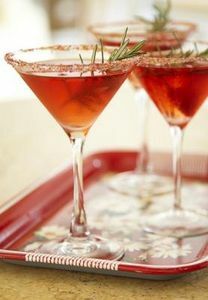 All good practices should extend to anyone who has the words, “Serve Alcoholic Beverages”, in their job description. With cocktail servers so prevalent and necessary to provide good service in lounges everywhere, cocktail servers should be held to the same standards as all bartenders. The temptation and the opportunities for a cocktail server to steal are enormous because they work independently and self bank. Dishonest cocktail servers use a variety of methods to take advantage of their situations. Short-Changing – Stealing by not returning proper change to a guest. This happens as the guest can become less attentive as they become more intoxicated. Overcharging – Charging more than necessary for a certain drink and stealing the difference. This usually happens when guests have no intention of seeing a receipt and the server quotes the drink price to them. 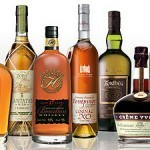 Substitutions – Charging for a requested premium liquor, but ordering a well brand from the bartender. Representing Checks – Presenting the same check to two separate guests/transactions with the same order, then pocketing the cash from one or both transactions. Fake Walk-Outs – Alleging that a party walked out, but pocketing the cash instead. Altering Checks – Voiding or adding to checks. Usually goes hand in hand with representing checks. With the following controls in place, you will curb the chance that your cocktail servers have to steal. -On January 1, 2007, the minimum wage for California will increase from $6.75 per hour to $7.50 per hour. -On January 1, 2008, the minimum wage for California will increase an additional 50 cents to $8.00 per hour. The biggest area the new law will impact is in the hotel’s food and beverage departments. Most restaurants only make a profit of about 10 percent. With server and bartender labor to increase 11 percent to $7.50, it could easily squeeze out the entire profit. Hotels with high benefits (especially high workers comp rates) will be hit the hardest. Now is the time to examine your menus and consider any price increases. 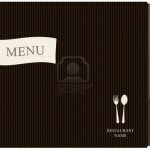 There is a great article on menu engineering available at http://www.restaurantowner.com/public/330.cfm . There is also a menu engineering worksheet available for download to help you out. It is also a great time to examine your labor productivity. Make sure that you have a productivity number for each position and those numbers are used to forecast, schedule and report each week. The earlier that you can prepare for the increase, the easier it will be to absorb the expense. It is critical to examine what positions that it will affect and have a plan for them. Typically any position under $10.00 per hour will be affected by this minimum wage increase. You may want to consider raising the wages on those positions immediately rather than waiting until January 1st. As the word about the minimum wage increase gets around, employees will start looking around to see what other hotels are paying. The hotels who wait until January 1st could risk losing some good employees to their competitors. Also, a large increase before the government requires could be a great boost for moral, especially in December when hotels are slow and work is scarce. Link provided with permission from RestaurantOwner.com. For more information, visit http://www.restaurantowner.com/.